This giveaway is now closed. Winners will be announced on Thursday, September 19th. That’s right I said, giveaways, as in two! This year, I’m excited to offer two lucky readers the change to attend one of the amazing RE:DESIGN conferences, RE:DESIGN Inspire and RE:DESIGN Creative Directors. This year’s RE:DESIGN/CD event will be held November 4–5, 2013 at the Wythe Hotel in the vibrant neighborhood of Williamsburg in Brooklyn. This will be our third year for RE:DESIGN/Creative Directors, a yearly gathering with a focus on salon-style sessions and the chance to connect with fellow creatives. We are so excited to announce our keynote conversation with Steven Heller and Louise Fili, moderated by our Symposiarch, Wally Krantz of the Brand Union. The theme for 2013 is Experiences. Design is about creating an experience – at RE:DESIGN/Creative Directors, we’ll discuss creating experiences that resonate, whether on a computer, at an airport, in a theater, while shopping at a store, or at home. We’ll explore leveraging your own experiences, working beyond your boundaries, partnering with others, and finding inspiration in outside influences to create new and unexpected experiences. RE:DESIGN/Inspire takes on the ultimate goal of any creative type—to be consistently and innovatively inspired. 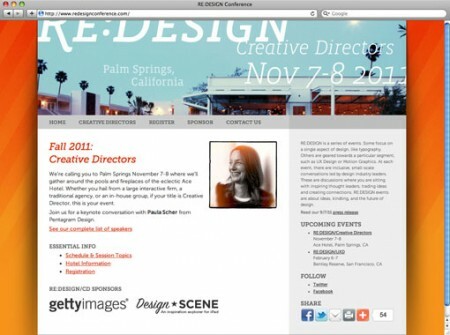 RE:DESIGN/Inspire 2013 is for design professionals – graphic designers, creative directors, web designers, art directors, visual communicators and other creatives – and features salon-style sessions. This year we’ll explore the idea of cross pollination: drawing from sources beyond traditional design to enhance, strengthen and inspire our work. Our session leaders feature some of graphic design’s brightest, and in the spirit of cross pollination we’ll also hear from design professionals from other fields. Join Symposiarch Lawrence Azerrad of LADdesign and a group of inspiring speakers October 21–22, 2013 at the SmogShoppe in Los Angeles. If you can’t wait or don’t want to chance it, DWL readers can also get $75 off the price of either conference ticket, by using code DWL13 at checkout. Keep in mind that Creative Directors is expected to sell out especially quickly, so don’t wait! I would love to go to Re:Design/CD - and hands down I'd be most excited to hear Louise Fili speak. Re:Design/Inspire — I would love to hear the guys from The Heads of State speak. I would love to be able to attend Re:Design/CD! Getting the chance to hear Louise Fili speak is one of the things that really excites me the most about this conference! HI GUYS! i would love to attend Re:Design/CD. My brain needs a big jolt and nobody does it better than NYC. RE:DESIGN/CD I am excited to learn from Mike Abbink of Wolff Olins. Thanks! I'm been a big fan of The Heads of State, I'd like to see them speak at Re:Design/Inspire. I would love to go to RE:DESIGN/CD I absolutely 100% am most excited to learn from Louise Fili. She easily my favorite designer. I would love to check out the CD event and hear Carson Ahlman & Jenna Smith speak about colour! RE:DESIGN/CD I'd love to hear from Louise Fili. Thanks! Would love to hear from Jason Kernevich and Dustin Summers of Thes Heads of State - at the Inspire event. RE:DESIGN/CD I would love to hear from the perspective of another startup- Tim Riley please! I would love to go to RE:DESIGN/CD and have the chance to hear Steven Heller speak! RE:Design/inspire I would love to hear the Heads of State speak. Love their work. I'd would love to see Jason Kernevich and Dustin Summers of The Heads of State at Re:Design/Inspire. I've always admired their wonderful branding and illustration/poster work. I would love to make it to RE:DESIGN CD!! Such a great line up of speakers! Most excited to hear from Louise Fili. Also really interested to hear from Jenna Smith and Carson Ahlman. 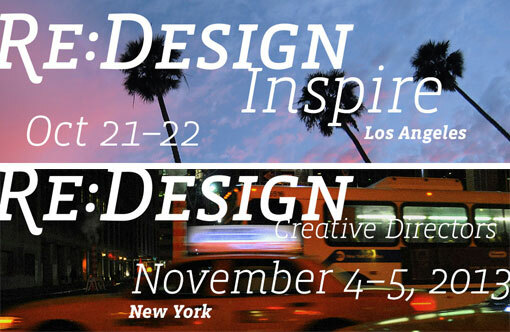 i would love to attend Re:Design / CD i would love to hear from Louise Fili for the first time. Re:Design/Inspire Margo Chase and Petrula Vrontikis! I would love to go to Re:Design/Inspire... because west side is the best side. I would like to attend the Inspire event. I would be most excited to hear Frank Ockenfels speak. His work is amazing! Interested in RD/Inspire and most excited to hear from Nathan Shedroff. RE:DESIGN/Inspire I'd be most excited to see Jeff Castelaz. I'd also like to hear what Heather Parlato has to say. Actually I'd be thrilled with any number of speakers, who all look much hipper than myself. I would love to be able to attend Re:Design Inspire Looking forward to the Heads of State inspiring talk! As an art/design teacher and now student of design management I am excited to hear from Jason Kernevich and Dustin Summers at the Inspire event. Filled with my own aspirations, I would like to hear more life experiences of starting a studio. The lineup at Re:design / CD looks amazing! 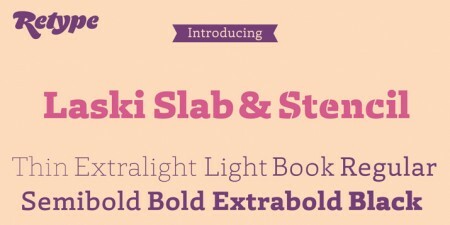 Hard to pick a favorite from the talented group but I'd be most interested to see Louise Fili. I can't believe I didn't know about these conferences! I'd love to attend Re:Design/CD. The speaker(s) I would look forward to: Louise Fili (whose work I know) and Bobby Martin (someone new to me). Thanks! 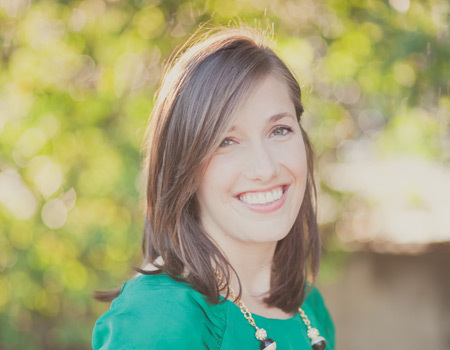 I'd LOVE to go to Re:Design Inspire to hear Heather Parlato! I would love to go to RE:DESIGN/CD It would be such a treat to hear Louise Fili speak! Heads of State at Inspire! Re:Design/CD with both Fili & Heller sounds incredibly inspiring! One of my favorite designers and authors in one place. Thank you! I would like to go to Re:Design Inspire and listen to The Heads of State. RE:DESIGN/Inspire please. The Chicago version was ACE! Hoping to make the LA one either way. Good luck all! I would love to attend RE:DESIGN/Inspire to hear Barbara Bestor speak about 2d/3d environments. I would love an opportunity to attend RE:DESIGN in Brooklyn. What a great lineup of speakers. uh PS. I'd love to hear Cameron Campbell on communication design! 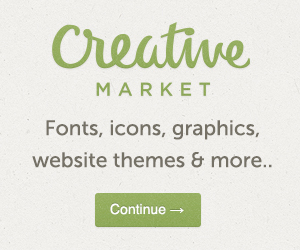 As a fledgling designer, RE:DESIGN/Inspire would be incredible - kind of a dream come true! 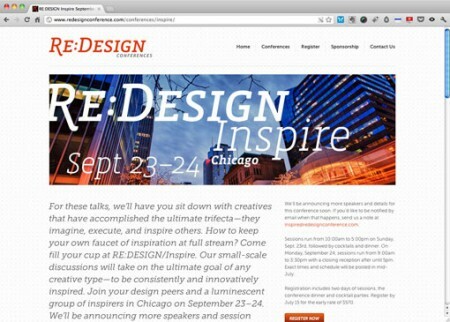 I would love to have the chance to attend RE: DESIGN/Inspire. I could use some serious inspiration these days! Went to the first CD conference in Palm Springs...Amazing time. Would love to hear from Steven Heller in person! Re:Design/CD, Louise Fili speak would be fantastic to see.